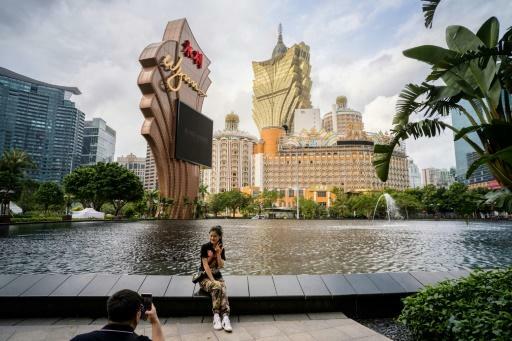 The trade war may have sent ripples of uncertainty through the world's second-largest economy but one corner of China has so far remained steadfastly buoyant -- the gambling enclave of Macau. The city's fortunes depend almost solely on its gambling industry, which in a single week rakes in more gaming revenue than Las Vegas makes in a month. The trade tensions between Washington and Beijing -- and the general slowing down of China's economy -- has hit businesses hard across the region. But in the past few weeks Macau's four casino giants -- SJM, Sands China, Galaxy Entertainment and Wynn -- have all reported a bumper year of gaming revenues and profits. Chen Jinjun, a 46-year-old car garage owner from eastern Zhejiang province, says he has little interest in seeing much of the former Portuguese colony during his five day visit with friends. "I mainly come for playing at the casinos, not sightseeing," he tells AFP, saying he expects to drop around 50,000 yuan ($7,450). "Apart from food and hotel, the rest will all be for gambling. And if I win some money, then I'll buy some luxuries like handbags and clothes." Players like Chen are the oil that keep Macau's economic engine ticking -- even in the midst of a trade war. "The Macau market actually had a very good 2018," Grant Govertson, an expert on the industry at Union Gaming told AFP. "The good news... is that the mass-market segment continues to exhibit solid growth and is the market segment that drives operating profits for the industry." There was once a time when the casino giants paid little attention to the mass-market players like Chen. Instead they hungrily courted the VIPs and high rollers to fill their coffers. But a widespread corruption crackdown by Chinese President Xi Jinping saw a dramatic decline in VIP fortunes from 2014 as wealthy mainland gamblers -- many of them officials with suitcases of illicit cash -- tried to avoid attracting attention. The VIP market has returned in the past two years although analysts noted a drying up in the latter half of 2018 as the trade war bit. But the mass-market gamblers keep coming and up until January Macau reported 29 consecutive months of gaming revenue growth. That contraction in January suggests Macau is far from invulnerable to the trade war, especially if the conflict deepens. Ben Lee, a managing partner at IGamiX, a gaming consultancy in Macau, said casinos in the city may have hit "the peak of this current cycle". All eyes, he said, will be focused on whether the US and China can find a way to avoid a new round of tariffs in their ongoing trade talks. "If the second tier of tariffs come in that will increase the magnitude of impact on the industry, particularly in the VIP segment," he told AFP. "We still maintain a somewhat bullish outlook and expect the market to grow in the mid-single digits, which includes high single-digit mass growth and flattish VIP," he said. 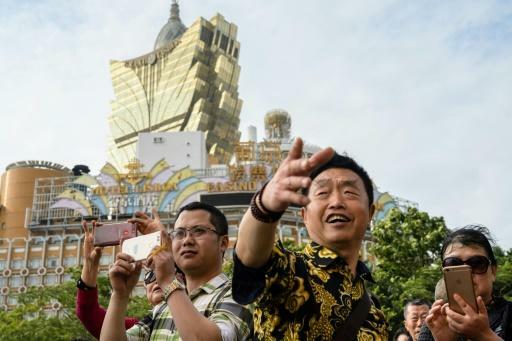 Partly in response to the jitters caused by the corruption crackdown, Macau's authorities have tried to make the city less exclusively reliant on the gambling sector, pushing it instead as a food and family tourism destination. The drive appears to have paid off in terms of visitor numbers. The semi-autonomous city of just 620,000 people said 35.8 million people visited in 2018, a 10 percent jump on the year before, fuelled in part by the opening of a massive sea bridge linking Macau to the nearby cities of Zhuhai and Hong Kong. 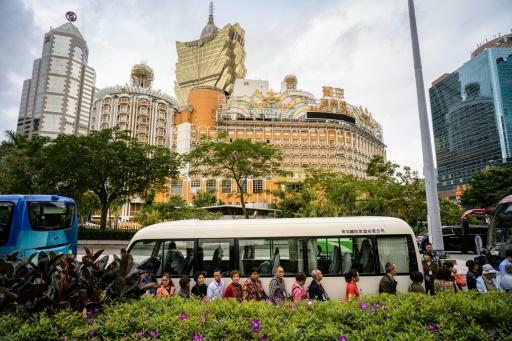 The figures show Macau is still overwhelmingly reliant on visitors from Hong Kong and the mainland who made up 32.6 million arrivals. Chen, a 40-year-old wine business owner from Hubei province, is one of those gamblers who has ventured beyond the casinos during his stay in Macau. "I went to see the ruins of St Paul's cathedral, the usual tourist attractions," he told AFP as he took photos in a square outside the Venetian casino, a huge complex owned by US billionaire Sheldon Adelson's Sands Corporation that features an artificial canal complete with gondolas. He said he tends to visit twice a year, spending around 30,000 yuan each time. "For gambling I've visited several of the casinos to try my luck. I won a bit of money and bought myself new shoes and clothes," he added. But Xiao, a 40-year-old restaurant owner from nearby Guangzhou, was less fortunate. "I've lost more than 30,000 yuan," she told AFP as she left the Wynn casino. "I want to go home now".